If any object has a _repr_html_ method, the IPython Notebook will use it to render HTML output. It's really easy to make a simple class that permits general dynamic HTML-rich output with Markdown. 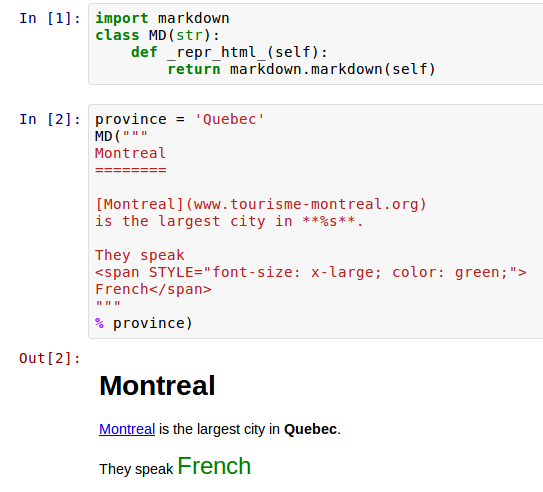 Markdown is a superset of HTML, so HTML in your output string will work, too. Four little lines, and you can do this!